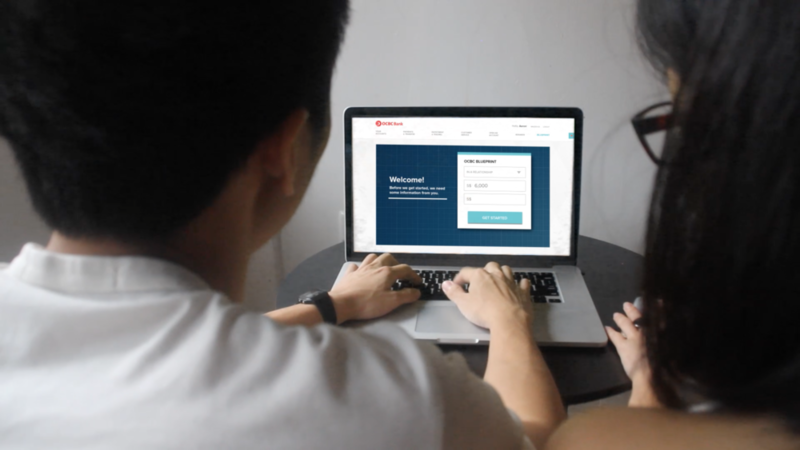 OCBC Blueprint is an online platform service designed to help people visualize their future financial needs and wants, at the same time allowing them to plan the steps they can take to achieve those goals. It was developed with the aim to equip young working adults with the technical knowhow and vital knowledge in future financial planning. Blueprint is also a gateway to OCBC’s existing services. Research from design probes show that young adults have vague plans about their future, but are uncertain about it. They are also unaware of how to start planning for their future milestones. This is due to their misconceptions about financial matters influenced not only from peers, but reluctance to find out more as they find finance intimidating. The concept of Blueprint is to first educate young adults with vital information relevant for their future, followed by guiding them to take actions using OCBC’s existing services that will help them reach their financial goals.